May 25, 2017 Portman on Yahoo News: "Russia's Behavior Should Not Be Rewarded"
Oct. 19, 2016 ICYMI: Ukrainian Ad Highlights Portman's "care­fully tar­geted, hyper-­person­al­ized ap­proach"
Oct. 17, 2016 Portman for Senate Releases New Web Ad: "Newspapers Agree"
Oct. 14, 2016 Portman for Senate Releases New Web Video "No I Did Not"
Oct. 13, 2016 Roll Call - Have Senate Republicans Already Avoided a Worst-Case Scenario? 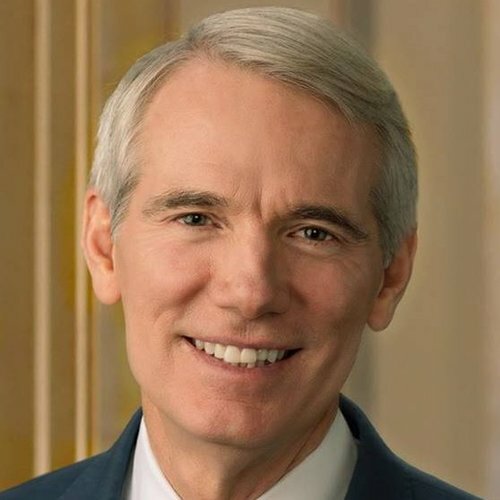 Oct. 12, 2016 Portman for Senate Spends $235,000 Re-Releasing "Cleveland's Fair Share" and "Cleveland's Biggest Enemy"
Oct. 10, 2016 Portman for Senate Releases New TV Ad "Second Chance"
June 28, 2016 Rewind: "Gov. Strickland is doing an appalling job for Ohio"
June 27, 2016 Elizabeth Warren's Visit Reminds Ohio That Retread Ted Gets "More Progressive By The Day"
June 21, 2016 WATCH: Why Does Ted Continue to Stand with Anti-Coal Clinton?